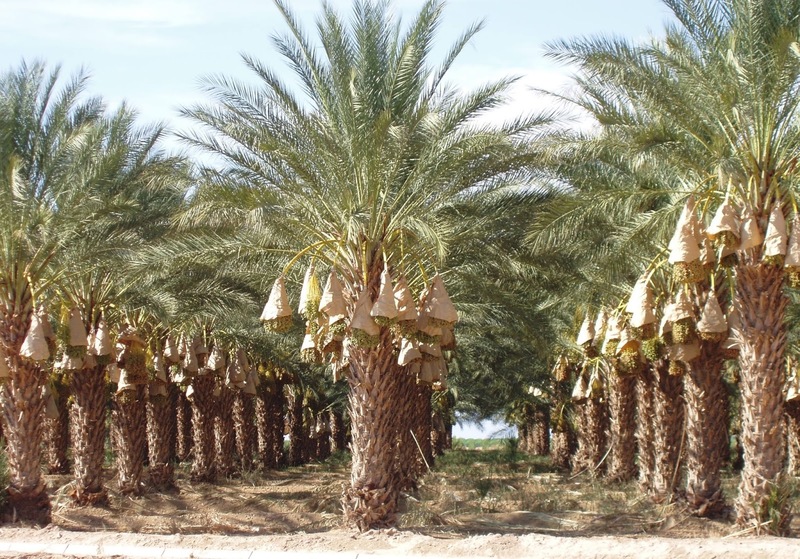 Tucked into the southeastern corner of Imperial County alongside the Arizona border and Mexico border is the Bard Valley where high quality dates are grown. This week, workers are on 60-foot high reach lifts, putting protected bags around the date-fruiting branches. “The dates are ripening up, turning from green to yellow, and that’s when the birds start coming in. 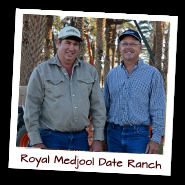 So we protect our dates with the bags,” said Ron Hill, farm manager of Royal Medjool Date Garden in Winter Haven, Calif. “It also protects the fruit from harsh wind storms, which could knock the dates off their fruiting branches,” said Hill, who has been managing the 400 acre operation since Jan. 1997. Workers will come back in 7-10 days before harvest and close the bottom of the bags to catch any ripe fruit that may detach from the branches. Hill noted that currently labor supply is decent. “We have about 60 employees getting the job done, but we will ramp up to about 175 around August 20, which is harvest time,” he said. He explained that a thinning operation in May is the peak season for labor. “We need about 260 farm employees, and we were okay this year,” he said. Hill said the fresh date market is good. About 95 percent of the dates go to the fresh market. That last five percent are for those delicious date rolls enjoyed by many! Pictured are bagged date palms on trees significantly younger than the tall trees found in the Bard Valley.